Tested by CB. These were fine for mopping up after a wee, but not up to the job for a 22 month old's large poos, which should really be going into a potty by now (naughty bubs!). Would be fine for a young baby. 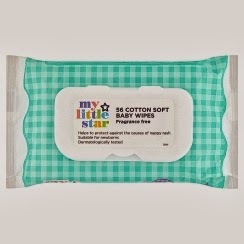 They are good to carry in my bag to use as face and hand wipes, as they are great value and very mild (no irritation for bubs). Also like the flip-open plastic opening, rather than the sticker-style opening found on other brands, which often lose their stick or don't seal the moisture in properly. 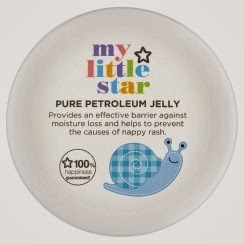 This massive pot of petroleum jelly is great for baby's sore bottom, as well as your own chapped hands and lips! Great value at a fraction of the price of other brands. These are ergonomically shaped for safe and gentle use, so that they don't go too far into the baby's ear. Brilliant! What a fab idea! Love these and will definitely buy again (once I use up all 50)! 5. Winners’ names will be published on Baby ur Beautiful up to one week after closing date 2/12/13. 6. Winners will be chosen at random by the publisher of Baby ur Beautiful. 8. Prizes are non–transferable and there is no cash alternative. Good luck!